List View can be found here. Kanban View can be found here. The Navi EG holds a meeting every other Wednesday. Meeting minutes for the Navi EG can be found here. . 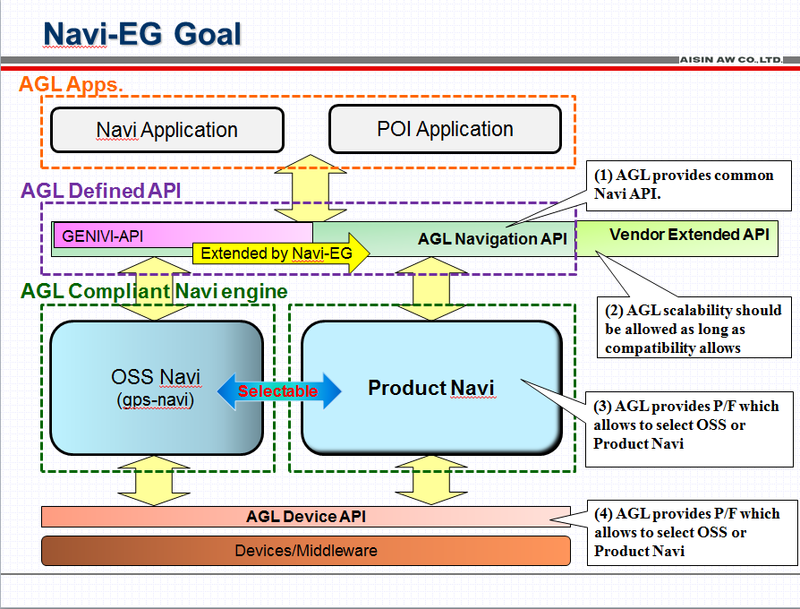 The Navi Expert Group is responsible for the requirements, architecture and design of the following topics within AGL.